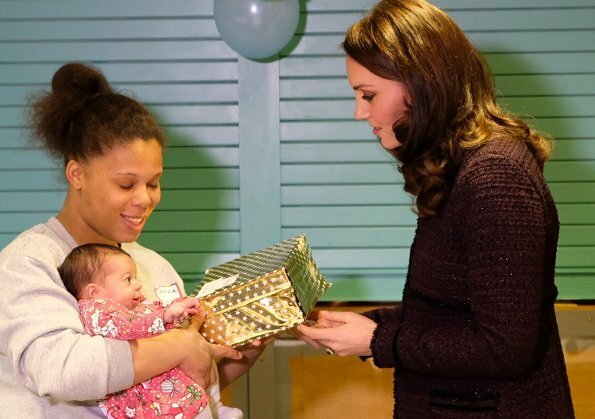 On December 12, 2017, Duchess Catherine of Cambridge attended the Christmas party of 'Magic Mums' community, held at Rugby Portobello Trust in London. 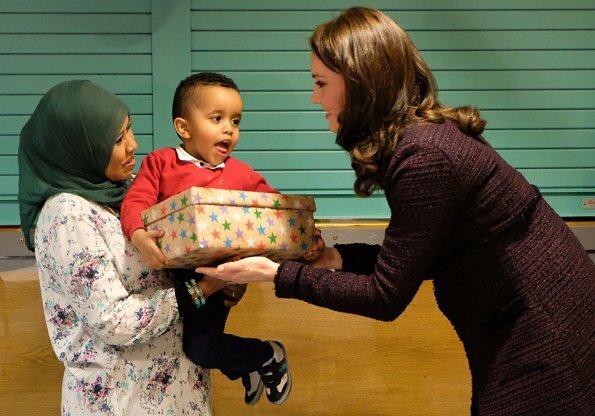 At the Christmas party, the Duchess gave Christmas gifts for Magic Mums community. Rugby Portobello Trust carries out programs for children and parents, such as homework clubs, sports activities, social groups and education. 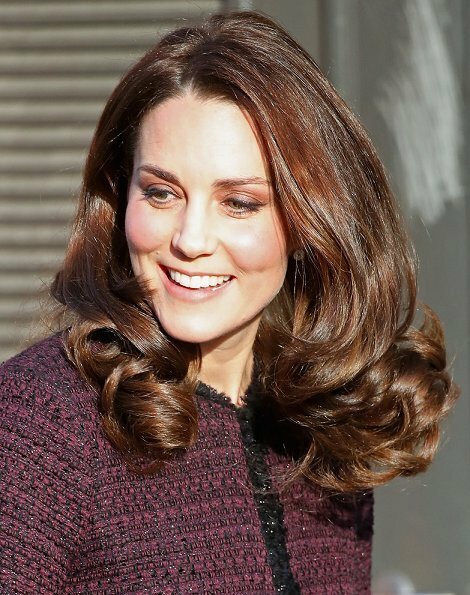 The Duchess wore Seraphine Marina Coat during her visit to the Trust. 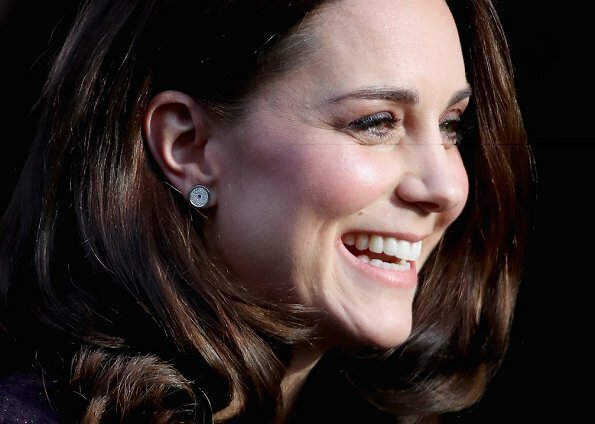 The Duchess wore that coat firstly in 2014 when she was pregnant for Princess Charlotte. She looks rested, healthy and relaxed. 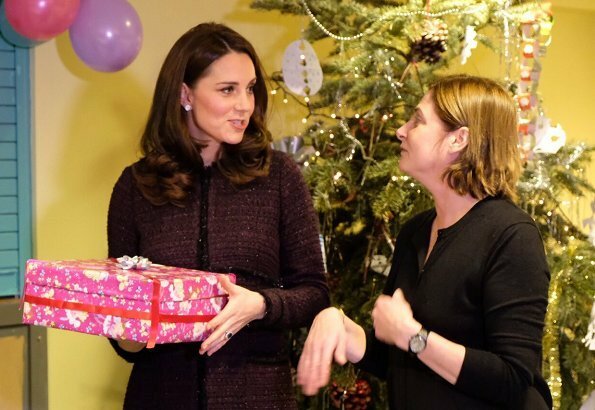 I like that maternity coat and this shoes are a perfect match to it. Beautiful earings too! Oh no! She is back with the hairstyle I think is not really flattering. Too much hair all around her face. But otherwise she looks good. She looks terrific. The coat is a nice color on her and perfect for winter. She looks radiant and beautiful. Coat is so fitting and classic. That's an elegant coat - she looks lovely. Lovely!! She really has the glow.